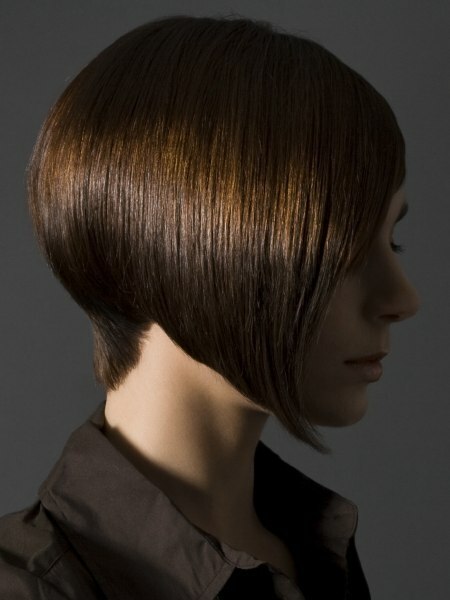 The "Spoon Shape" collection from Hair Arena Intercoiffure is all about the curves. 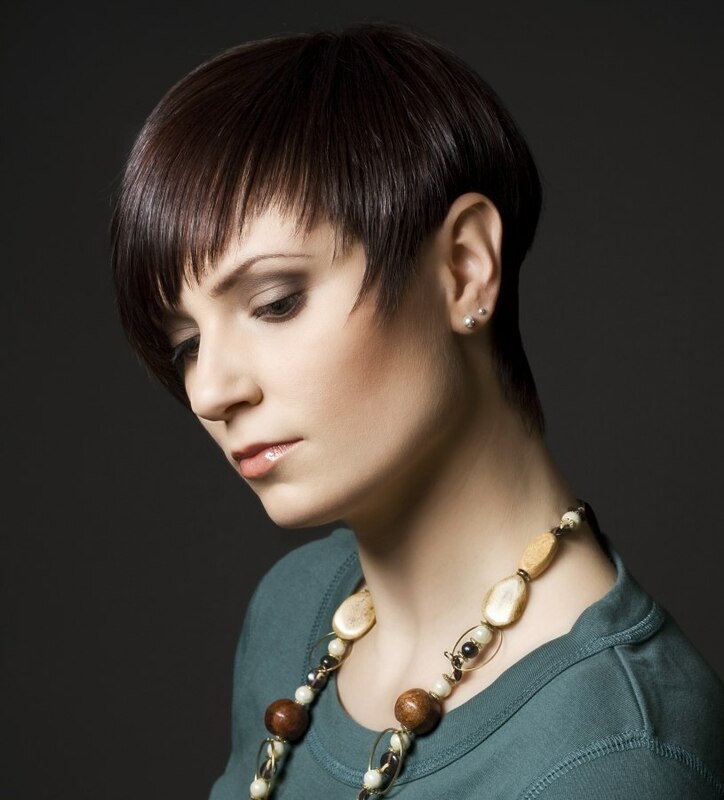 These short hairstyles feature predominantly smooth finishes and lots of softened edges, but the main theme is the curvy silhouettes created by the styles. 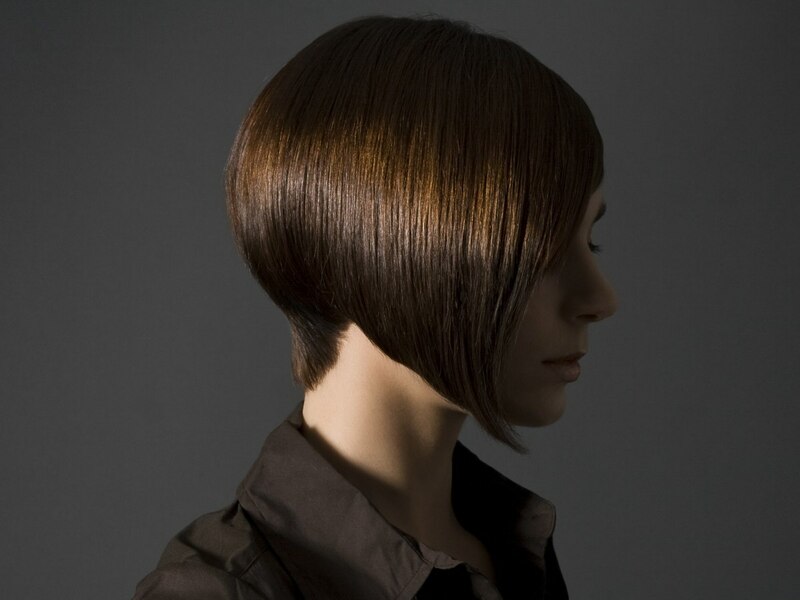 Whether spherical bob cuts, or concave napes accentuating an over-directed and elongated pixie-cut style, the curves are evident and the center of attention. In these styles, the use of color provides the canvas upon which these shapes and elements are displayed rather than playing active roles as styling elements. Whether the color is pale, cool, champagne blonde or plum-tinted ebony, it seems to exist harmoniously with the style into which the hair is carved.